What are the BEST interior paint colors? Alright, we admit it's a bit of a subjective topic, but we've got big opinions on this popular question. After building well over 100 homes, you become familiar with paint colors very quickly! We've seen clients get easily (and understandably) overwhelmed with the paint selection process - and that's no fun. In an effort to help avoid that, we've compiled some of our tried and true colors, specifically sourced from some of the images that we get the most questions about what paint color was used, and put them into an e-book that you can download. This is far from an exhaustive list, but it is a great range of paint colors that look great in a variety of spaces. So whether your tastes stay squareley in the traditional design world, or if you lean a bit more modern - we've got something for you in this e-book. Take a peek and start narrowing down those choices! What are your favorite interior paint colors? Let us know in the comments below. 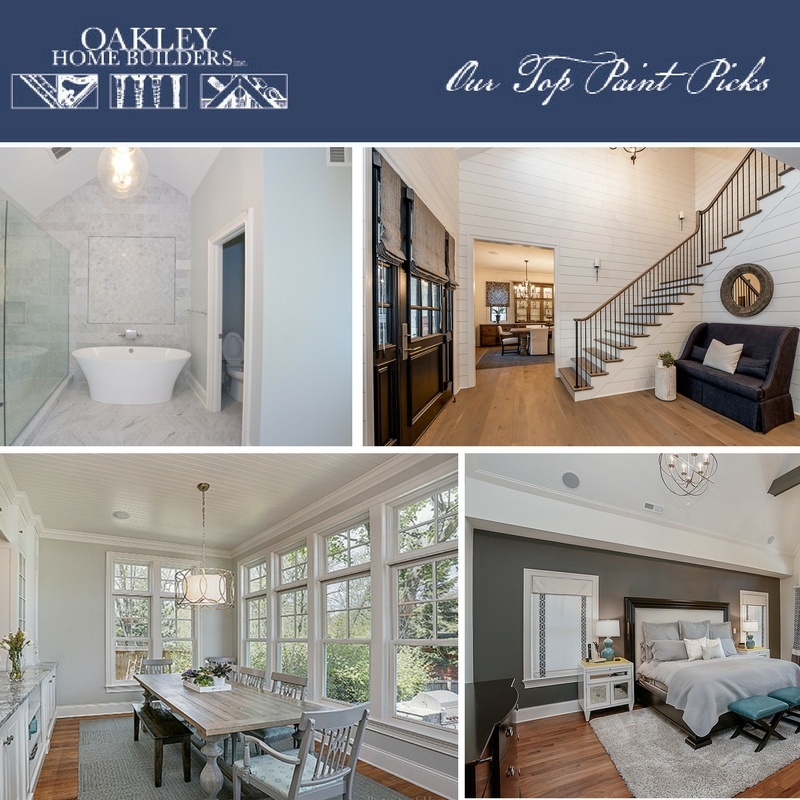 Want to see any other Oakley top picks such as tile, exterior paint color, etc ? Let us know that too and we'll see what we can pull together. Just need more inspiration for what your custom space could look like? Check out our design portfolio.